Prepare a cookie sheet by spraying with cooking spray, adding parchment paper and spraying parchment paper. Spraying the cookie sheet helps the parchment paper stay in place. Set aside. 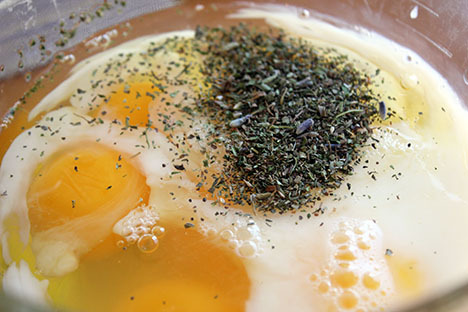 Crack your eggs into a bowl and add milk/cream and Herbes de Provence. 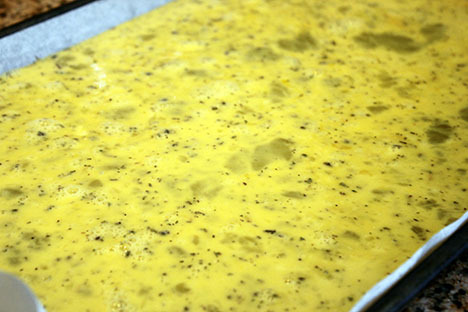 Mix well, the more air you incorporate as you whisk the eggs the lighter and fluffier your omelette will become. 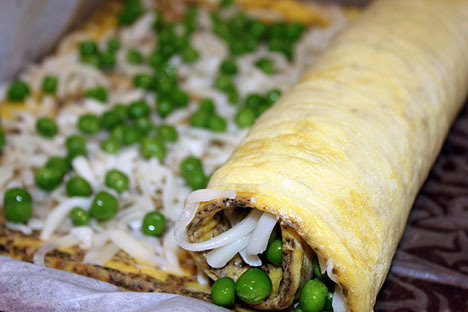 Pour egg mixture into sheet pan and bake for 6 minutes, or until the omelette look almost set. 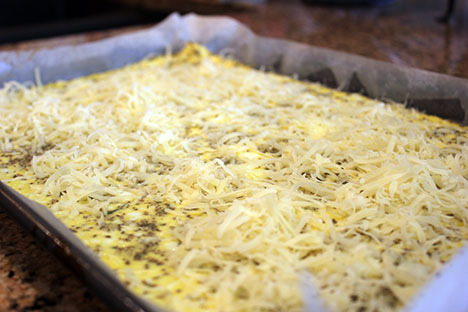 Add the cheese and bake for a mother minute. 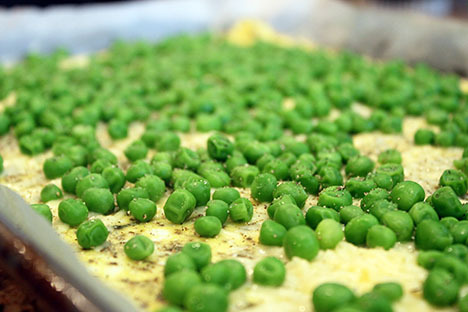 Pour the peas onto of the cooked egg mixture and season with salt and pepper if desired. 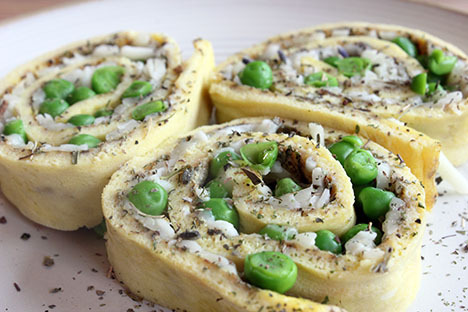 Now roll the omelette starting on one of the short ends, pressing slightly as you roll to keep in nice and tight. Place seam side down and cut into slices. 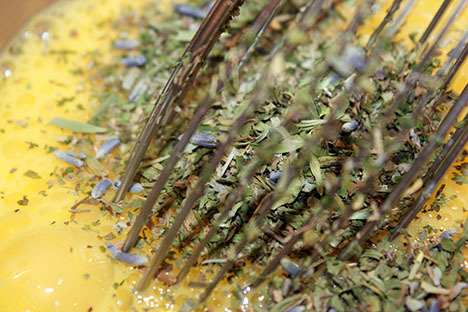 Sprinkle with a little more Herbes de Provence and serve. 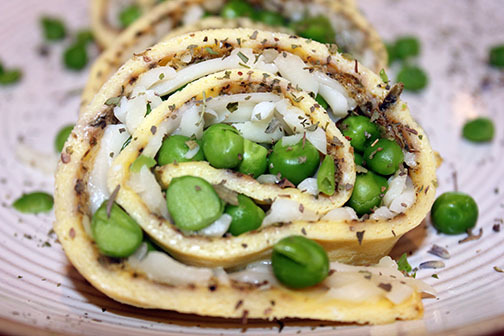 This makes a great addition to any brunch table!